All the pics I see are now cut off on the right side. Maybe about a 1/4 of the picture. Ever since the forum was changed. Not sure if it just me or everyone. Maybe I have something set wrong? Also have big gray bars on the sides. Forum seems to narrow for widescreen monitor? Can you post a screen shot of what you're experiencing? And, which version (There will be an 'about' section that will tell you the version - maybe as part of the 'help' menu)? I'll try to recreate the problem on my computer - unless this is expected, that is, in which case I'm sure that Vagreys will advise. Not sure if this will work as some of the screenshot may be cut off. I can only see half the hock on the ham. The pic has the hole end the the leg in it. So it cut off even more. On the full screenshot it has a gray bar on the left side same as the right. But part of the right side of the picture is cut off. Almost like I need to scroll over to the right to view it but I can't scrool. Ah, it's doing that in mine too; I hadn't noticed. I wonder whether there's an maximum/optimum image size for display? Your picture at 1024px wide is a lot bigger than the space available in the post for the image. If that solves it, then it's just a case of reducing the picture size before you upload it. If you don't have software to do this, online converters are available. Just Google 'online photo optimization'. Sure that works but its not just my pictures. Its a lot of them that are already posted. Seems like somethings not set right. Generally if the pics are too big for the forum they are either automatically re-sized and you need to click to enlarge or you need to scroll to view the whole pic. At least it not just me. Sorry, perhaps I should have said that this solves the problem in the short term. Hopefully, One on the admins will pick up on it and check the forum settings and/or stylesheet 'overflow' properties. Ideally, it would be great if there's a setting in the forum software that adjusts the picture size, rather than add a scrollbar. I'm sure that someone will advise further in due course whether this is possible. Vindii wrote: Generally if the pics are too big for the forum they are either automatically re-sized and you need to click to enlarge or you need to scroll to view the whole pic. Yes, if it's not a standard feature, there should be extensions that'll do the trick. Wow, that was quick - so quick in fact that I was editing my post when yours came online! This may be related, but since the upgrade the size of the browser window is fixed, as I use a very large cinema monitor it looks quite lonely there in the center with a very large gray border, and my zoom is set at 100%. All my other browser windows for other sites expand and contract to full window width, depending on the size of the window. Going larger on this site now does not expand the site layout window it is fixed. I personally would prefer it to expand as other sites do, and this may relate to photo clipping, not sure. Normally the window and its contents should expand and contract depending on where the field in the layout is anchored, hope that makes sense. If I understand correctly, the forum style is a work in progress. This style (which as you say has a fixed width) is only a 'temporary solution' whilst a custom style is developed by the owner's web-designer. I'm sure he will note what you have said. That scroll bar is what Im used to seeing. Its probably a default setting someplace. I agree with Rod that it currently too small (narrow). I do like the new format better. Hopefully the search works better too. I never had good luck with it in the past. Wheels, sounds good, now I'll be a bit nit picky about the temporary layout. I have always related red or pink color layout messages with errors, or alerts. The forum rules are in a pink border that is running the full width of the window, I find the color of this border distracting, as it takes my eye to that boarder, but there is no information there that I need to know on a regular basis. The pink color stands out for no reason in short. Also I'd use a small square twitter and Facebook icon on the left or right. The size and location now is overpowering the site information, my eye is taken to twitter then to face book, then to other info. Just nits as I said but thought I'd point them out. The design can be made 'fluid' quite easily by using percentages to set some of the width attributes in the CSS. It's whether our regular admin guys are allowed to do this. I don't know. It may have to wait for the web designer. 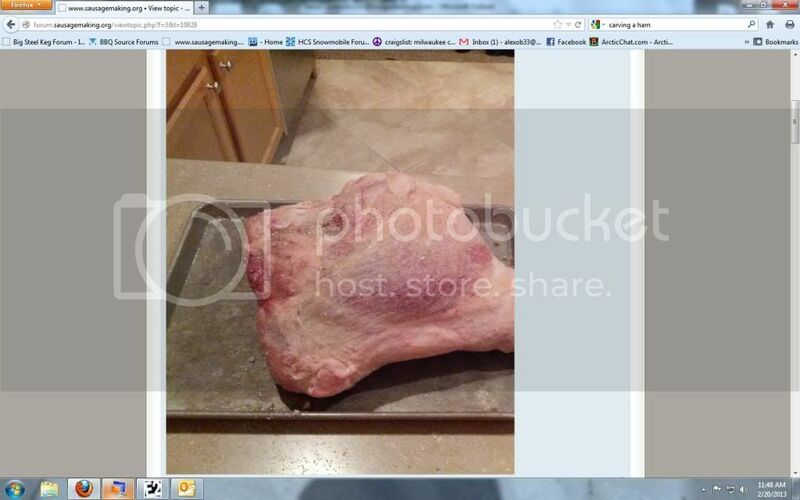 You can resize photos in photobucket. The shift to the fixed-size page style is temporary, but has been temporary longer than anticipated. There are a number of problems with the current page style, but rather than change the forum settings to accommodate the page style and permanently alter the photographs, I have left the settings alone, knowing that we were going to be returning to an adaptive design, shortly. Franco's web designer was reassigned to another project, which stretched longer than originally scheduled, that is just now coming to an end. We will resume testing a new page style, soon, and return the forum to an adaptive design that meets with Franco's approval.